Here’s a roundup of our latest articles, events and news! 45% of dealers cite personnel/turnover as one of the top three issues that keeps them up at night. In this article, Chief People Officer Dave Druzynski explains why it might be time to change your pay plans. Dealers today have a lot of data on their hands from dozens of sources. 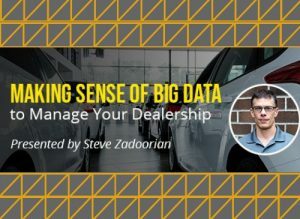 In this webinar, Chief Customer Officer Steve Zadoorian takes you through logical steps to better understand how these different types of data, from marketing and customers, from inventory and parts data, from sales and accounting, need to come together so you can do your job, sell more cars, and keep customers happy. Watch the replay by clicking on the link. If you think a written anti-harassment policy buried in your employee handbook will keep you protected from lawsuits, think again. Harassment is defined as the behavior you tolerate every day. 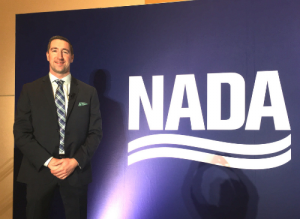 In this NADA session, Druzynski shared best practices for creating a harassment-free zone at your dealership.